This template is provided to you so you can test and see what your image will look like. Photoshop is required to open this file (PSD). - The image should exceed the AF logo by about 2 inches, in which afterwards the image will then fade back into the forum's normal colors. - You can use your own characters, even your own fursona if you want to! FYI: By entering this event, you grant Alberta Furries permission to use your artwork on our website. You will be credited appropriately for the work. Selection process is still up in the air, but may be selected by staff for the time being. Reminder: Time CHANGE AGAIN !!! HOOT!! Here with your yearly Clock Owl it's nearly time to change that clock again.Sun, Mar 8, @ 2:00 AM do remember to change your clock 1 hour ahead this is your 1 week advance warning. Here with your yearly Clock Owl it's nearly time to change that clock again. Sun, Mar 8, @ 2:00 AM do remember to change your clock 1 hour ahead this is your 1 week advance warning. P.S. Yes... one, 1, une, один, einer, 一 (Yī), etc Hour Ahead. P.S.S. Get over it you got your one day a year, 1 hour back, 1 hour more sleep on that 1 day. We as the staff have been thinking and to help assist with donations we will be doing the following. For 50 dollars we will sent out a t-shirt with the same information. Images to follow shortly. 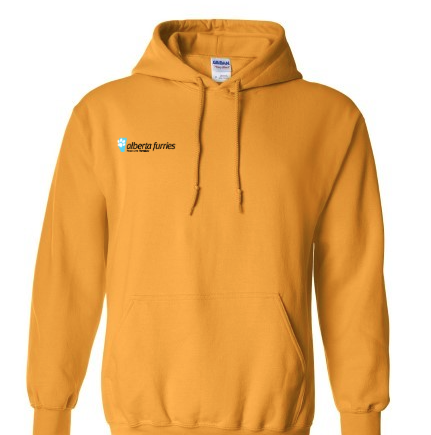 We also want to gauge a little interest and we may also make the hoodies and t-shirts available for purchase, without the premium member available for the range of 25 for t-shirt and 50 for hoodies with all proceeds going to the site fund. Let us know your thoughts on this idea of a ministore for raising funds as well. For those donating, it would take approximately 3 - 4 weeks for the items to be ordered and delivered. Hi artists of all shapes and sizes! Do you want to showcase your art/character, front and center, right on the header of our site? Wouldn't it be cool if there was a monthly theme for the site, showcasing the artwork from artists right here in Alberta? * Disclaimer: I simply Googled the above image to use for this example. I do not know who the original artist is, nor did I ask permission to use this image in this example. This image will not be used on the actual site, and all images used on the site itself will be with permission from the artist. Think this is pretty cool? Like I said, it's a great way to showcase your artwork and gain some followers on FA, etc. and a great way to demonstrate the artistic talent that the furry community in Alberta has! Where it says "artwork by someone on google" will simply say "artwork by FAusername" or whatever you want there! - Try to keep your image high resolution. The image will be resized to fit accordingly. In the next couple of days, I'll have a better real live example that I'll draw for the logo. Another thread will be posted on where you can submit your art! We have a lot of great artistic talent out there in the Alberta furry community, let's show it off! Vancoufur is Canada's next Furry Convention, running from March 5th - 8th, 2015! That's less than a month away, so if you're planning to go there, plan now! Registration appears to be $35 to attend (they have gone up since then). For anyone who loves going to ALL THE FUR CONS, the next upcoming convention in North America is Furry Fiesta in Texas, from February 20th - 22nd. Admin Notice Happy New Years! Onward to a great 2015! Admin Notice Update to the forum rules. Rule 5 (Personal Attacks/Harassment is prohibited): Appended; Alberta Furries is an LGBT Friendly Community. We support and accept gender equality across the site. Not everyone accepts LGBT and there are those who are not comfortable with it. We don’t mind, and everyone has their own opinions, but what is not acceptable is harassing people because of their gender or sexuality (and this goes for LGBTs bashing heterosexuals, too! ); (Unrelated to LGBT, general) Never direct an insult towards anyone on the site, even sarcastically. Users will be reprimanded for this. Rule 9 (Admins and Moderators): Appended; Sometimes there will be instances or scenarios where action may need to be taken for something not explicitly outlined in the forum rules. however can still morally be considered “wrong”. Staff will do their best to accommodate with their actions to make as fair of a judgement as possible. Rule 11 (Media): It’s been appended that Alberta Furries is not affiliated with Wild Rose Critters. Rule 15 (Anonymous Posting) [NEW]: In certain sections, users have the ability to post anonymously. Although this optional feature is available to allow a user to post privately without having their name associated with their post, please note that this does not grant you the privilege to break any of the aforementioned rules, and you will still be held responsible for your activity and posts as an anonymous poster. The administrative team has the ability to reveal the user of the anonymous posts on the forums, and take appropriate action if required to do so. Admin Notice Hey y'all! How're we doing?! POLL!